La Stampa newspaper says the 15-page response has been prepared and is awaiting final approval before being published. The Papal Nuncio to Ireland, Giuseppe Leanza, will deliver the Vatican's response to the Cloyne Report as one of his last actions in office. Update, 11.18: The Vatican’s response to the report has now been published. THE VATICAN’S OFFICIAL response to the findings of the Cloyne report into clerical sexual abuse in the diocese is ‘ready’ and will be published ‘imminently’, Italian reports have said. A report published by the La Stampa newspaper said that a “substantial and lengthy response” – stretching to over 15 pages – is near completion, and is now awaiting a final formal approval before it is delivered to Ireland. The document will be sent directly to the Irish government, the report said, before it is published to the public. Delivery of the report will likely be the final act of Giuseppe Leanza as Papal Nuncio to Ireland, before he is transferred to a similar posting in Prague. The report – published on La Stampa’s ‘Vatican Insider’ blog – said that while the contents of the report were not yet known, sources said the Vatican would try to avoid controversy and instead try to ease its strained relationship with the Irish state. The response has been compiled with input from the Roman Curia, the Catholic Church’s central administration; its diplomatic State Secretariat; and the Congregation for the Doctrine of the Faith, the highest body of Catholic doctrine, of which Pope Benedict is a former head. The Cloyne report, which was published on July 13, outlined how 19 priests abused dozens of children between 1996 and 2009 and accused the diocese of gross negligence for not doing enough to tackle the abuse. 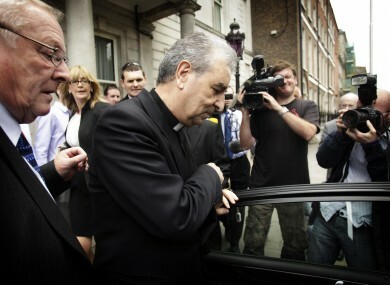 Email “Vatican's response to Cloyne 'will be published imminently' - report”. Feedback on “Vatican's response to Cloyne 'will be published imminently' - report”.